Michael Solomonov is a multiple James Beard award-winning chef and author based in Philadelphia. His modern takes on Israeli cooking at Zahav, which he opened with business partner Steven Cook, nabbed him medals for Best Chef: Mid-Atlantic in 2011 and Outstanding Chef last year. He and Cook, his coauthor, earned additional Beard awards for the subsequent cookbook "Zahav: A World of Israeli Cooking." 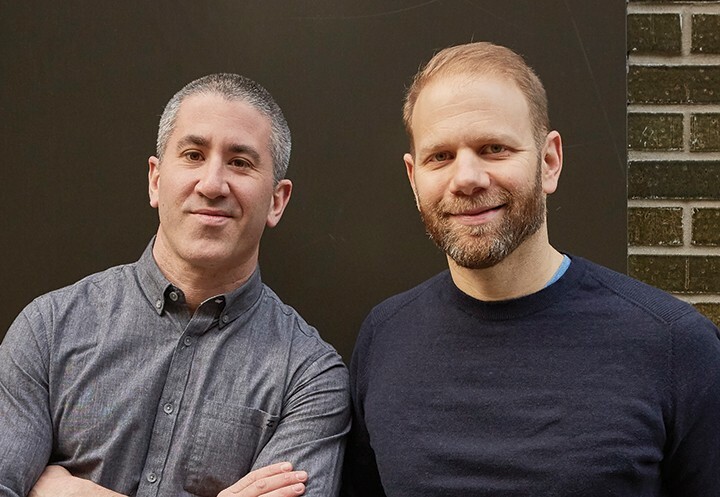 Since opening Zahav in 2008, the duo has gone on to open Federal Donuts, the world's first fried chicken and donut shop, Dizengoff, the hummus restaurant named for one of Tel Aviv's most iconic streets, Abe Fisher, the American-Jewish small-plates restaurant, Goldie, the vegan falafel shop, and the philanthropic-focused Rooster, whose profits go to Broad Street Hospitality Collaborative, where Philadelphia's most vulnerable citizens receive food, social services and the hospitality of a well-cooked meal. On December 13, Solomonov and Cook will be stopping by the Mandel JCC to promote their latest cookbook, "Israeli Soul: Easy, Essential, Delicious." The book signing is being presented in partnership with the Maltz Museum of Jewish Heritage. The night kicks off at 7 p.m. and includes refreshments. “Israeli Soul” showcases the modest street foods that are the main staple of everyday Israelis, enjoyed in small shops, hole-in-the-wall cafes and market stalls. For the book, which was included in New York Times' 19 Best Cookbooks for Fall, Solomonov and Cook scoured both the countryside as well as cities like Tel Aviv, Jerusalem and Haifa. Admission to the event is $25 ($20 for Mandel JCC members) or $36 if you’d like to leave with a cookbook. A special Author Meet & Greet Event, which includes hors d'oeuvres, reserved seating, an autographed book, and admission to the special exhibition Israel: Then & Now at the Maltz Museum are $200 per person. For tickets click here or call 216-831-0700 ext. 1314.